I think I should share a New Year message that I received. In this version you can now specify which directory to search for User(s)/Group(s). A big shout of thanks to Cameron, for providing the idea. You can download NUMSys 2.1 from here. I keep hearing about the pain in producing a sensible SOX report. 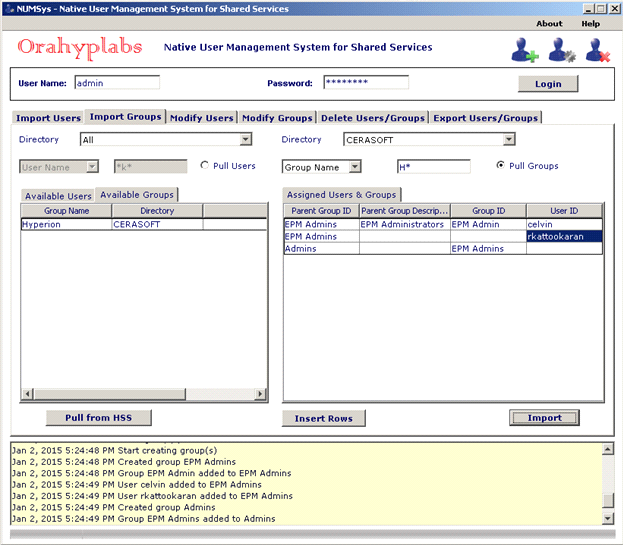 If someone out there is interested in providing the samples they produce for user access. I can try to add that in to the documentation module.